We melted and turned into puddles, the end! 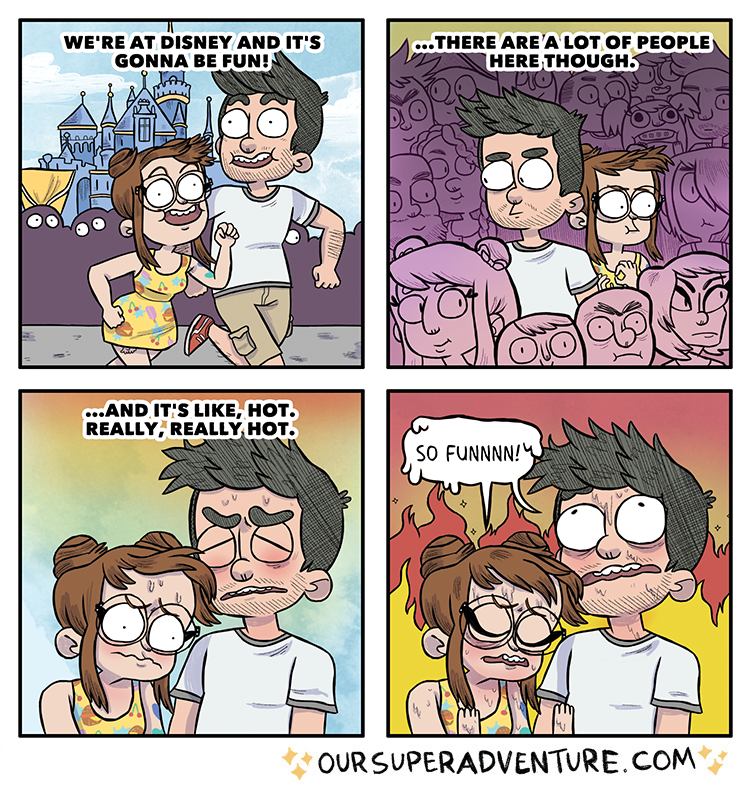 I never missed my local amusement park more than when I went to Disney. Short lines and thrilling coasters all day.